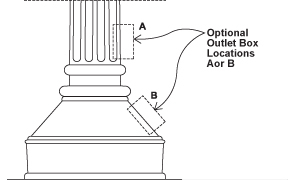 Functioning as a highly visible traffic deterrent these bollards perfect for illuminating walkways, sidewalks, and paths. Classical design creates an architectural bollard that furnishes a handsome illuminated accent applicable for a large variety of settings. 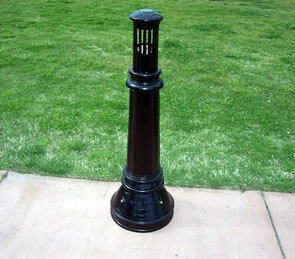 These cast aluminum lighted bollards are also an ideal complement for decorative fence posts. 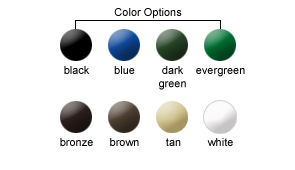 Standing 38" high with optional built-in electric outlets (see dimensions) these bollards come in the variety of color options as shown.